Can you believe it was the end of August I last did a bullet journal update? 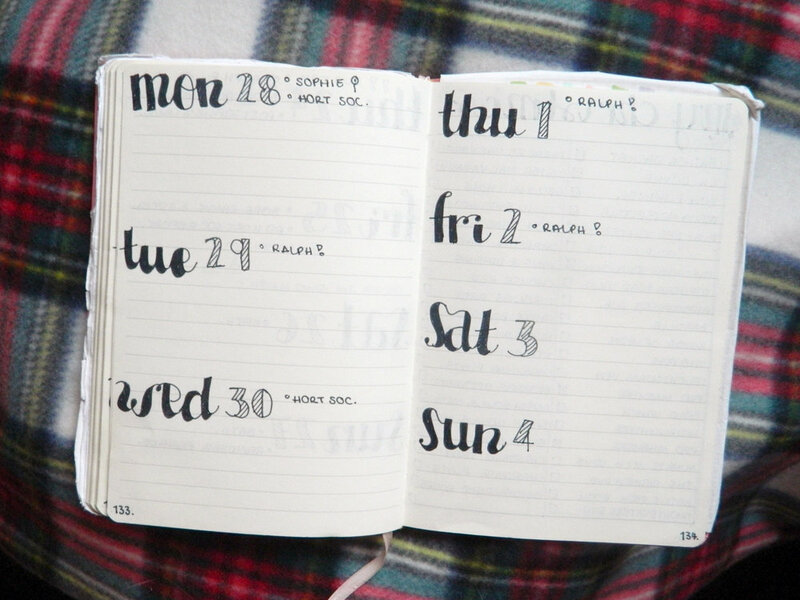 Bearing in mind anything bujo is my most popular content you'd have thought I'd have tapped into that and done a few more but alas....here we are. Life runs away with us. As always not that much has changed in my bullet journal per se, I am still working all black and white and I'm still generally using it the same. I am over halfway through the notebook I'm using now and I think December and January will be busy months full of to do lists so I have plans for my next journal up and running in my head. My month to month layout is still the same as when I started a bullet journal back in May. My month to month calendar is exactly the same as is my habit tracker and my weekly spreads. 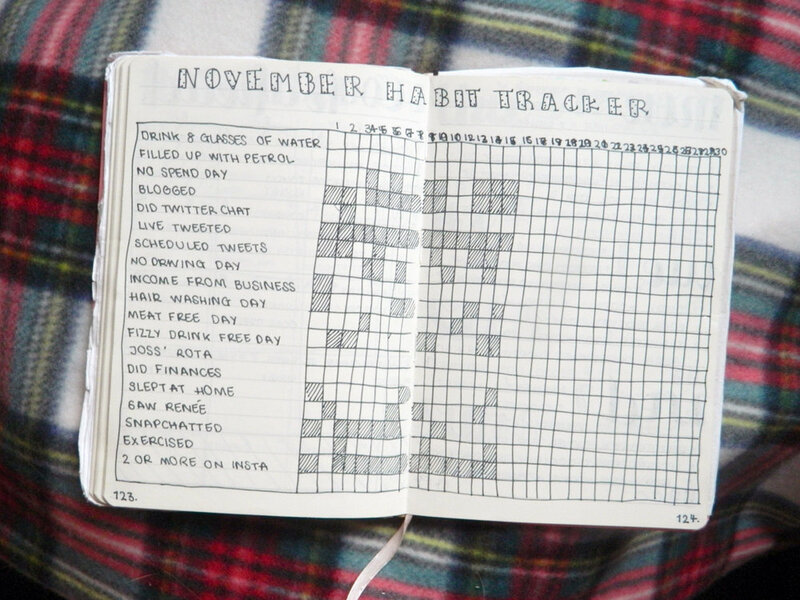 My habit tracker has been tweaked a little bit so for example I have changed go for a run to exercised because running has uhm.....stopped a bit.....but I walk a dog for someone in the village and walk with my niece and probably get more exercise week on week these days.... Also you may all lol at the fact I haven't managed to drink 8 glasses of water a day AT ALL since May, yet I still track it in the hope I may one day. My monthly calendar is just a general place to track birthdays and bills and things I have to do in the month. I use an app on my phone and a wall calendar AND a desk calendar to track the same thing but mate, I need my plans at hand at all times. My weekly spreads have changed only in that I now have 3 days on the left hand page and 4 on the right whereas it used to be the opposite way around, simply because I seem to have less to do on the weekends and it works much better now. There's quite a few pages I don't use anymore in my journal which are technically still in the notebook, like I haven't ripped it out but I just NEVER look at them. My index for one or my key, i.e the most crucial element to the bullet journal...yeah, not for me. I don't use my Twitter chat list really anymore because some of them don't happen anymore and there are a hell of a lot of new ones about and I don't use my goals tracker for my blog either because I hit my targets. Apart from the key and index I think I'll update these kinds of spreads for my next journal, they're just not updated enough for now. Bring on the new year. So in October and November I decided I wanted to do like a little cover page idea for the upcoming month, a general what's happening kinda thing so I played about and came up with the following two images. I've got a calendar for the month tracking nights away and birthdays just for the ease of looking for it. I have a tracker for my blog for the month and also a goals plan (I didn't quite hit October although I missed out on 150K pageviews by about 10) . I have a to do list and a to buy list for obvious reasons and an important box which is for things to remember - MOTs being the biggest this month. I liked the idea of having a motto or a mantra which are normally my words of wisdom from the blog and a future dates list for things I need to remember for next month. And then I also have a little bit for what blog campaigns or sponsored or gifted content I have coming up just to keep goals in mind. I really like this little cover page of sorts so I'll probably keep that up too. I also use my bullet journal for random to do lists that are bigger or more important than just writing on a scrap of paper. It's worth noting I have a blog planner and a business planner separate to this journal which is where I plan those things so these lists are normally a mixture of all three or just general life admin. These are actually some of my favourite pages of my journal because they're all so random and unique and gives me a chance to play with different layouts. The last couple of months I have included a packing list from my trip away (which I will also include to go to Bath next weekend), lots of to dos, christmas planning and a reminder of my advertisers because I think it's important to have all the info to hand at all times to do them a good service. 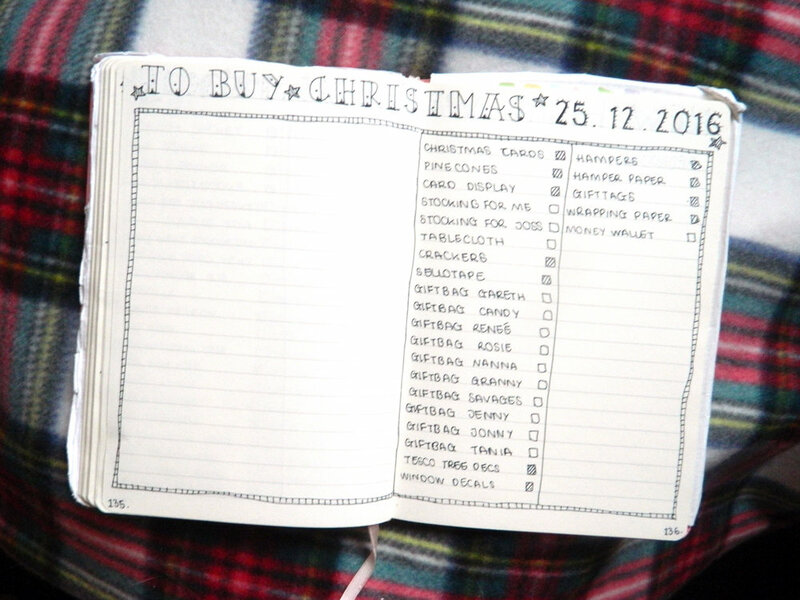 I'm going to do a separate blog post on using your journal for Christmas planning soon so I won't go too much into that. As well as more Christmas planning no doubt I want to rejig my journal for the new year so after December I plan to kinda halve the journal, do a new title page and restart with new layouts, new trackers, lots of goals and things like my blog stats and Twitter chats and film charts/savings charts reworked and included again. So that's a quick update on my journal, not much has changed like I say but I am holding off on that until 2017. I appreciate the idea of a bullet journal is the ease of changing things and redeveloping but I have never been good at a HUGE remodel partway through a year. For me, a new year means a new journal and I shall be sure to update you as I go! Nov 20 How To Do Your Christmas Shopping & Hold Your Nerve. Nov 17 FREE Christmas Bullet Journal Printables. Aug 31 My Bullet Journal: A Four Month On Update. Jul 9 My June 2017 Bullet Journal Layout.